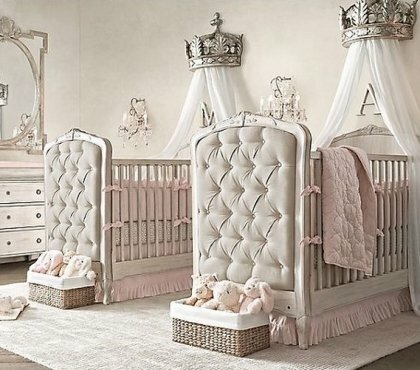 Adorable baby nursery ideas – themed interiors, colors, furniture, etc. The design and decoration of a baby nursery – whether you arrange a separate room or update an existing one – provides numerous opportunities and parents-to-be are facing a lot of questions. What colors and shades will be more favorable for the baby? What is the suitable furniture? What materials are safe for the child? We give you hundreds of ideas how to create a cozy, functional and safe baby nursery room. You will find ideas for themed interiors – fairy tales, zoo and animals, planes, balloons, birds and many more. 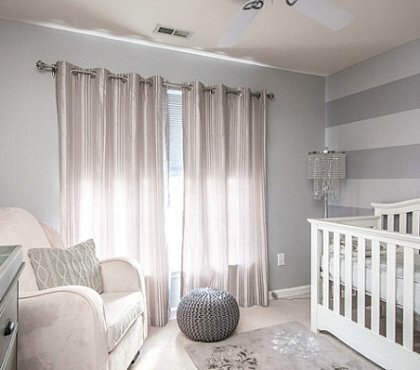 Browse the galleries to find out which style you prefer – classic, traditional or modern – see the ideas for color schemes and with some good planning you will have the best nursery room for your little one! Iron crib design ideas can be just as fascinating as wooden cribs. Very often parents-to-be are faced with the problem to choose the best crib for their baby and it is a tough task, really….